INDIA. Mumbai. 2006. Next to the Sion-Dharavi Bridge and the Central Line tracks, people from Andra Pradesh work at the a community laundry , where they have a business. 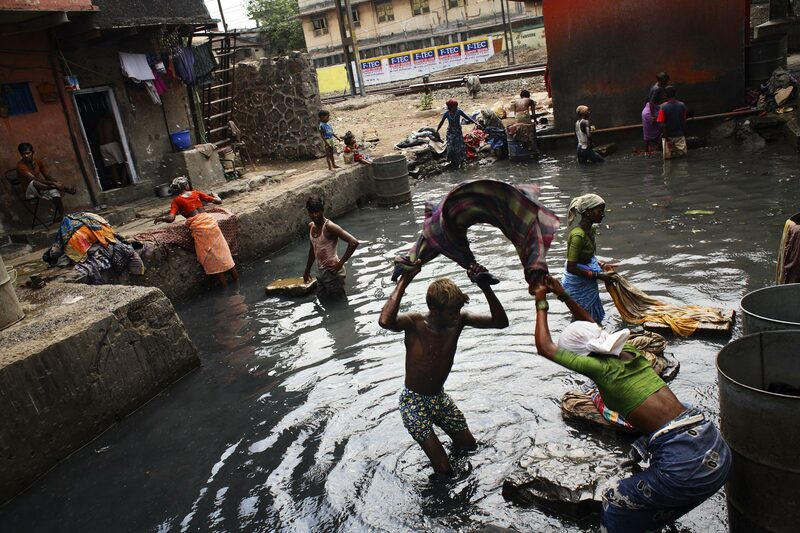 However, the water is heavily polluted, a mix of sewage, drainage water and garbage.